Almost a year after their wedding, lawyers for Kim Kardashian and Kris Humphries are still battling it out in court. If the marriage had stuck, Kim Kardashian and her basketballer ex-Kris Humphries would be celebrating their one-year wedding anniversary Monday, August 20. Instead, their lawyers were back in Los Angeles Superior Court Wednesday trying to finalize a divorce for a marriage that lasted a mere 72 days. 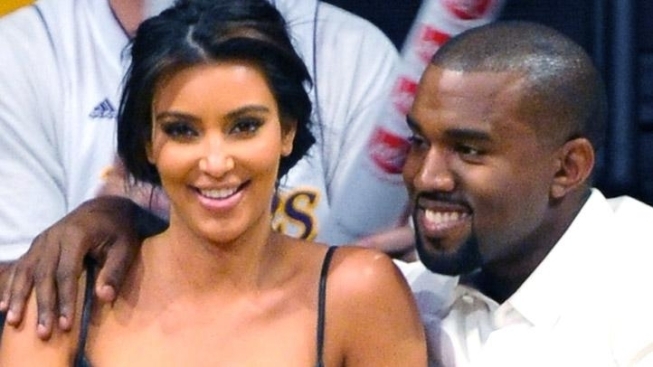 According to The Associated Press, Humphries' attorneys want to interview Kardashian's mom Kris Jenner, as well as her current boyfriend, rap superstar Kanye West, before setting a trial to end the marriage. Humphries had been deposed by Kardashian's legal team in advance of Wednesday's hearing but Kardashian has yet to be deposed by Humphries' representatives. During the hearing, Humphries' attorney, Marshall Waller, said that he is encountering difficulty getting information from companies that produce Kardashian's reality shows in his effort to prove the couple's marriage was a fraud. A judge says all this legal maneuvering means it will be sometime next year before the couple is granted a divorce or annulment, the latter being Humphries proffered outcome, according to the AP. The seemingly glacial pace is not sitting well with Kardashian lawyer Laura Wasser, who stated during the hearing that her firm has already spent $250,000 on the case so far, an amount she says will eventually be billed to Humphries. "We are going to ask for every cent of those fees back from his client," Wasser informed the judge according to E!. "To what end does he want this annulment?" What Humphries ultimately hopes to achieve by dragging the proceedings through the courts is not clear as yet. The couple filed for divorce in October of 2011 and had both signed iron-clad prenups prior to walking down the aisle. Their wedding became a media sensation due to the all-access tone set by the Kardashians - arguably the current first family of reality television. The over-the-top, star-studded nuptials - televised over two nights on E! - reportedly cost around $10 million. The court case to end the marriage may not cost taxpayers quite that much, but it may generate as much media coverage if not finalized before 2013. Exiting the court, Wasser remained tight-lipped to reporters except to say, "We're just moving forward. My client wants to be divorced." The next court date has been set at Nov. 28 for a status hearing.